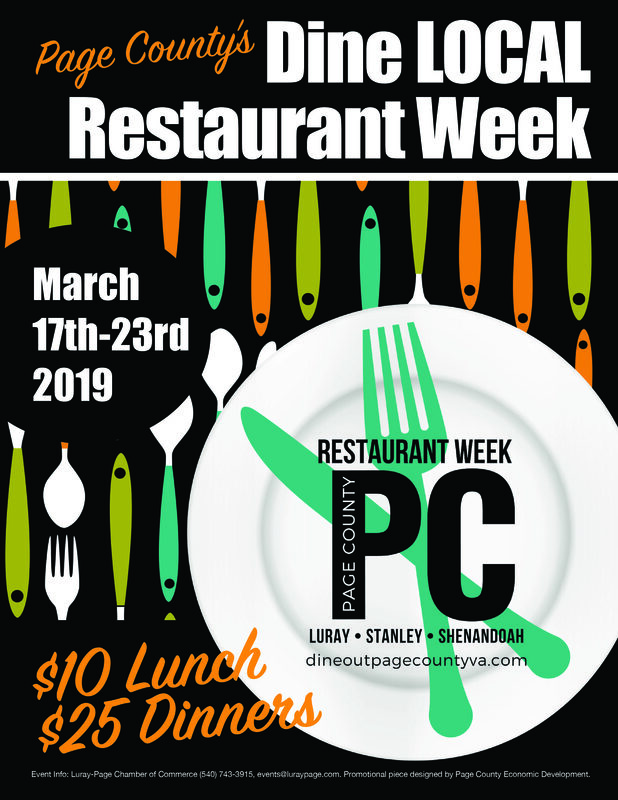 Thanks to interest of local and county officials, Page County’s first ever Restaurant Week launches Sunday, March 17th through Saturday, March 23rd! We are partnering with the Town of Luray, Town of Stanley, Town of Shenandoah, and County of Page to pull off this large event with the support of our local restaurants. We are currently collecting menus, hours of operation, and additional details from participating restaurants and look forward to showcasing them in the coming weeks. For additional information, visit our website: www.dineoutpagecountyva.com or contact Gina at events@luraypage.com or (540) 743-3915.